The new LR190S43B ushers in a new era in the world of Bach Stradivarius. This marks the first time that bronze material has been used in the production of one-piece hand-hammered professional Bach bells. 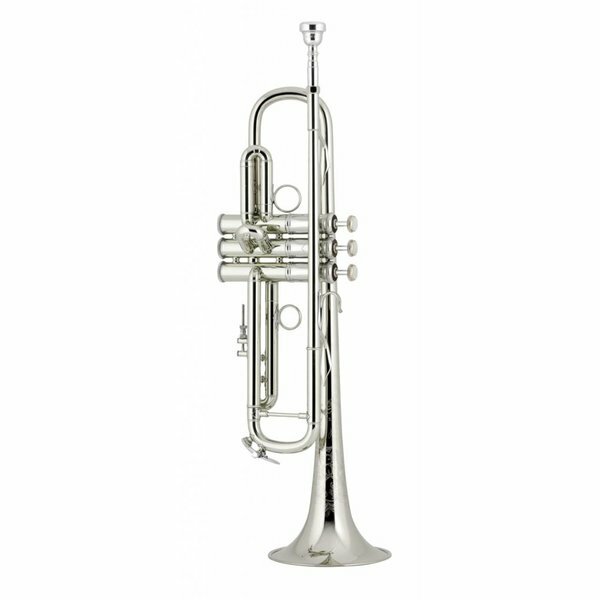 The LR190S43B features a lightweight body and two-piece valve construction that provides a quick response. The open feel of the reverse construction #25LR mouthpipe combined with the new bronze material in the bell results in a very responsive, lively, yet full sounding instrument. The silver-plate finish provides a controlled brilliance to the overall sound. As beautiful to look at as it is to play, the LR190S43B well suited for all types of music. Bach "Stradivarius" - .459" Medium-large bore, two-piece valve construction, lightweight body, standard weight bronze brass one-piece hand-hammered #43 bell with a 5" diameter and flat bell wire, reverse construction #25LR mouthpipe, monel pistons, 1st slide thumb ring, adjustable reverse 3rd slide rod stop, vintage bracing and finger hook, deluxe engraving, silver-plate finish, Bach 3C mouthpiece, C180M woodshell case with zippered cover.